South Africa ended with a 1-0 win against New Zealand as the rains forced a draw in the third and final Test after five days in Hamilton. The result means the African side have lost just one series in the last ten years. They lost to only India in the 2015/16 season. South Africa entered the Test season last summer, placing seventh in the ICC Test team rankings. The result against New Zealand helped them push up to the second spot on the log as they topple Australia. 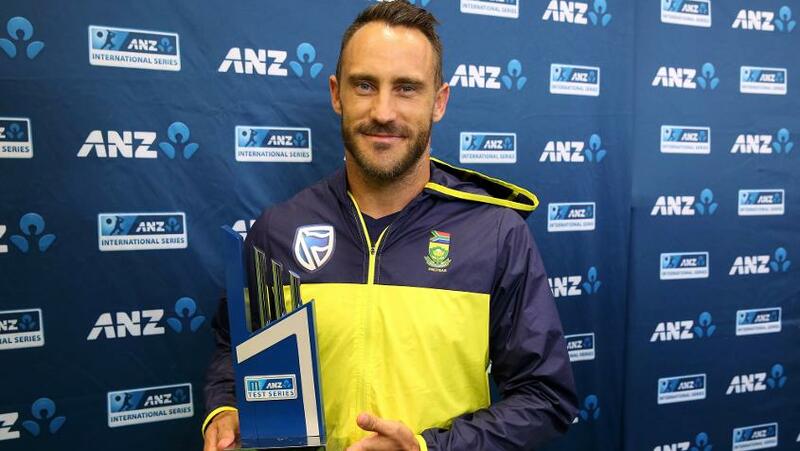 India remain confident at the number one spot, and the Faf du Plessis-led side will be confirmed as the second on April 1. Their clash against New Zealand historically favoured them and they maintained the record. They have defeated them in the last two Test series but they had to score 95 runs to avoid an innings defeat this time. New Zealand gave a big fight but they would not be too disappointed to have lost the game despitehaving a firm grip. The visitors would also ascend in the new rankings. On the final Test, the hosts batted and lost three wickets in the opening session. De Bruyn and Elgar debuted but both fell single digits to Henry and de Grandhomme. Duminy continued his poor run and in the next session Amla did his first fifty in the series. The South African star now needs just 67 runs to reach the 8,000 Test runs mark – only three South Africans have reached the milestone. On the second day, du Plessis and Bavuma rejuvenated the South African side, repairing their innings. Du Plessis made 53 but he was shockingly dismissed against a brilliant Tom Latham. De Kock frustrated the opposition and he completed 1000 Test runs – the sixth South African to do so. New Zealand also broke records as Kane Williamson reached 5,000 Test runs in 110 innings. He also equalled a record of 17 Test century held by cricket legend Martin Crowe. Williamson was also adjudged Man of the Match.